Srinagar, June 14: Hours after four Border Security Force (BSF) troopers were martyred due to the violation of ceasefire by the Rangers of neighbouring country, India lodged a strong protest with Pakistan at a flag meeting which was held along the international border at Octroi Border outpost in Suchetgarh sector in Jammu district. At least for Border Security Force (BSF) troopers including an Assistant Commandant were martyred and three others were injured after the shameless Pakistani Rangers on Tuesday late night violated ceasefire along the International Border in Ramgarh sector of Samba district in Jammu and Kashmir. Assistant Commandant Jatinder Singh, Sub Inspector Rajesh Kumar, ASI Ram Niwas and Constable Hans Raj all belonged to 62 Battalion of the BSF were martyred while three others including Sub Inspector Zantal Sil, Constable Sujan Dass and Constable Vikas Kumar were injured due to ceasefire violations done by Pakistani Rangers. This was the second major ceasefire violation from Pakistani rangers along the International Border after the two countries agreed to implement the ceasefire pact of 2003. On May 29, The Director General Military Operations (DGMO) of the two countries agreed to implement the ceasefire pact of 2003 in "letter and spirit". 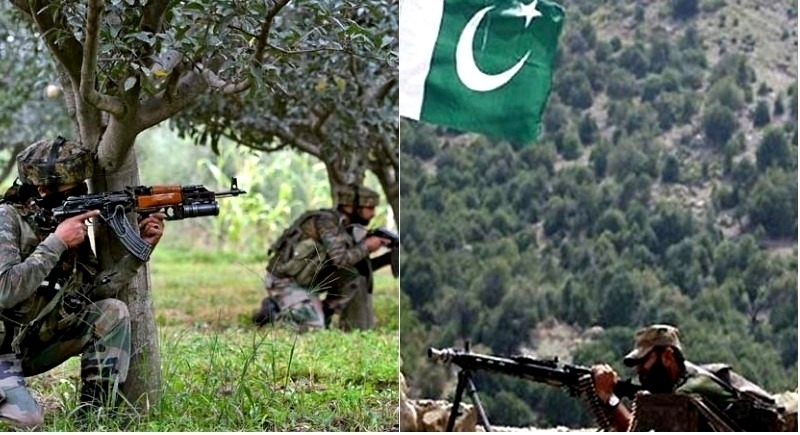 On June 3, Pakistani rangers targeted the forward posts of BSF and residential areas Pargwal and Kanachak sectors in Jammu district in which two BSF jawans were martyred and 16 people including 15 civilians and a police constable were injured.